Looks small but delivers like a beast. It will leave you in awe with the music it delivers. Enjoy powerful audio with 6W (peak) best in class drivers. Switch between calls and music easily on the versatile Roam. 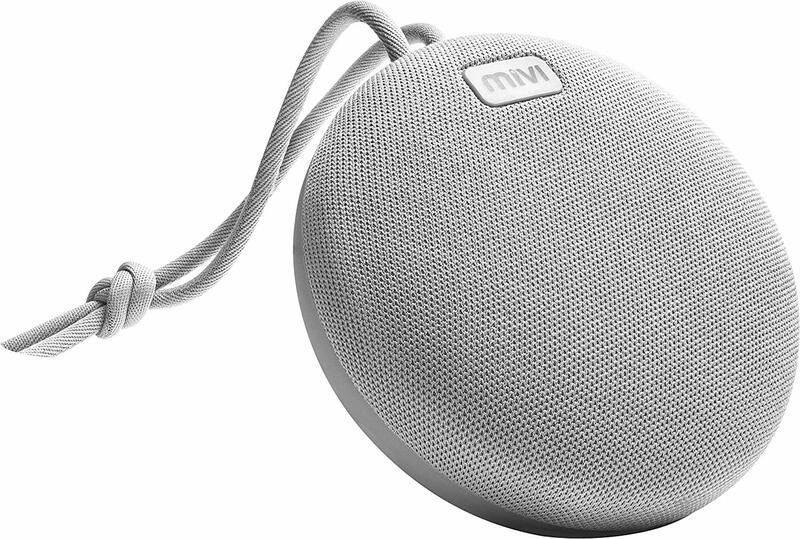 Control your music with adaptive buttons on your Mivi speaker. Robust design make sure you can carry your speaker and party whenever and wherever. Dust and water proof design (IPX 67) makes sure you play music in all weather conditions. Play it with Bluetooth or Aux Port. With Bluetooth 4.2, It has a wireless connectivity upto 10 meters. Soft grip band to hang it around. Hook it and enjoy the music for hours.